The first thing you should be aware of before starting this book? It isn't what you think. If you've jumped up at the sound of the name [a:Kelley Armstrong|7581|Kelley Armstrong|http://d202m5krfqbpi5.cloudfront.net/authors/1199068298p2/7581.jpg] and are considering this book as your next adventure into the land of urban fantasy, complete with standard supernatural creatures and romance, you might want to step away and look somewhere else. Less than 5% of this book is paranormal and I think there's a very strong argument to be made that this book isn't paranormal or urban fantasy at all. What this is, more than anything, is a contemporary mystery/thriller with hints at supernatural elements that is engaging and exciting, if approximately 50-70 pages too long. And it probably opens up more questions than it answers but, if I'm honest, I don't even care and I can't wait to find out more from the rest of the series. No disrespect to the individual reviewers, but I think this book has confirmed what I've long suspected to be true: Kirkus and I are completely incompatible. Our relationship has been on the rocks for a while. It probably started with their negative review of [b:The Spectacular Now|3798703|The Spectacular Now|Tim Tharp|http://d202m5krfqbpi5.cloudfront.net/books/1320493552s/3798703.jpg|3842894], and deteriorated further when [b:Pandemonium|9593911|Pandemonium (Delirium, #2)|Lauren Oliver|http://d202m5krfqbpi5.cloudfront.net/books/1310371414s/9593911.jpg|14480923] and [b:Reached|13125947|Reached (Matched, #3)|Ally Condie|http://d202m5krfqbpi5.cloudfront.net/books/1330717582s/13125947.jpg|14449480] got starred reviews but [b:Froi of the Exiles|10165727|Froi of the Exiles (Lumatere Chronicles, #2)|Melina Marchetta|http://d202m5krfqbpi5.cloudfront.net/books/1306866851s/10165727.jpg|15064442] and [b:Days of Blood & Starlight|12812550|Days of Blood & Starlight (Daughter of Smoke & Bone #2)|Laini Taylor|http://d202m5krfqbpi5.cloudfront.net/books/1337964452s/12812550.jpg|17961723] didn't. 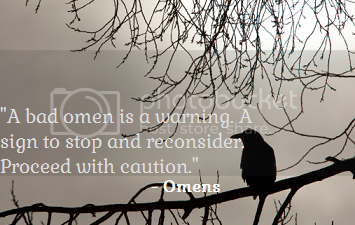 And now their review of [b:Omens|16101040|Omens (Cainsville, #1)|Kelley Armstrong|http://d202m5krfqbpi5.cloudfront.net/books/1351111087s/16101040.jpg|17110092] paints the book as mediocre at best, largely because of the "insufficient material for romance-seekers". Fair enough. But there it is, our incompatibility in black and white. Because I think one of this book's greatest strengths is the lack of romance (though, admittedly not something we'd expect from urban fantasy). Romance is a spotlight stealer. It just is. Even the most subtle of romantic tales are constantly in our peripheral vision when we're trying to focus on a creepy and clever mystery. 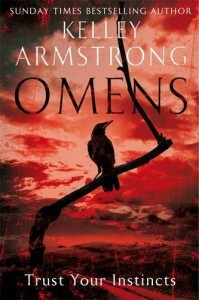 So I like that Armstrong keeps the focus very clearly on the mystery in [b:Omens|16101040|Omens (Cainsville, #1)|Kelley Armstrong|http://d202m5krfqbpi5.cloudfront.net/books/1351111087s/16101040.jpg|17110092]. She tells a story about a woman - Olivia Taylor Jones - who discovers her whole life has been a lie. Olivia's not the daughter of a wealthy Chicago family as she had always believed, but she's actually the adopted daughter of notorious serial killers. The press attention that comes with this revelation threatens to tear her family apart and ruin her relationship with James, her fiance. Forced to flee the glare of the cameras, Olivia is drawn back to the town where she was born. There she discovers secrets that have laid buried for years and she must face the possibility that the truth behind her parent's murdering rampage is far more sinister than anyone imagined. There is a man in this - Gabriel - who has been set up in a nice position for potential future romancing but I prefer the way Armstrong has handled this. She's given us characters we can care about before she goes the romantic route so, when she does, we're probably going to be salivating for it (or maybe I'm just gross). I don't know how well this will make sense to those of you who haven't read a million bad romance novels, but I love Armstrong's descriptions of men. They're never described as beautiful. Or pretty. 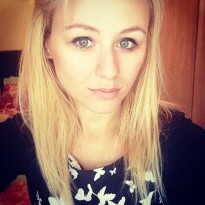 Or gorgeous. Their character is built up through showing their personality, rather than telling us how crazy hot they are. It works. It's so much easier to fall in love with a personality than a shiny, 2D pyramid of pretty adjectives. It's the simple old "show don't tell". Don't tell me why I should love them, show me. I'm not quite throwing my knickers across the room just yet, but I can see comparisons being made between Gabriel and Barrons from Moning's Fever series. Which, for me, is a good thing. Armstrong may not have given me romancing and sexytimes but she certainly has my attention. I really enjoyed the story and the mystery, even though the bigger mystery is really only just beginning in this first installment. One thing brought in which is a personal love of mine is the use of real life events. It always adds an extra dose of believability for me when an author ties the story in with something that actually happened (especially when it's something that I've never heard of!). Not only does it make the story more convincing, it makes it scarier to think it theoretically could happen. And this is a creepy book, anyway. In short, I'd be happy to recommend this but perhaps not to those expecting the usual from Armstrong. But I liked the characters, including hilarious secondary characters like the crabby old Grace. I liked the mystery. I liked the witty dialogue. The second book just landed on my wishlist.